I have my first ever competitive cyclocross race in two days time (13th May 2015)… I saw the World Cup event in Milton Keynes late last year and have been hooked since, and I’m hoping that this diary will encourage more people to give it a go. That assumes that I survive the summer and ‘enjoy’ the races? 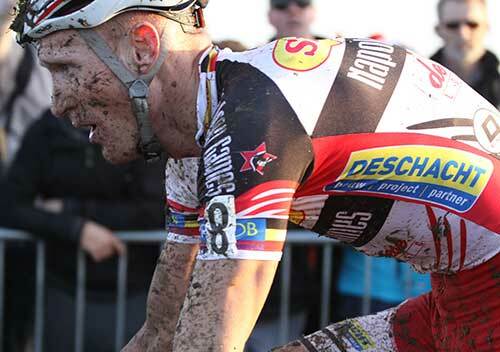 Enjoyment is an interesting term in the context of cyclocross racing – from what I can see and ascertain, it’s going to be 40 minutes of lung-bursting hell followed by a huge rush of exhilaration at having finished. Fortunately for me I have a softer introduction with a set of summer races based around the Bristol and Gloucester areas… this is the Western CX League… so I am not being thrown into a full-on winter race with the vagaries of the British weather to deal with. Probably best to provide a bit of background at this point – I would call myself a keen recreational rider, not having competed before in anything apart from a couple of local mini-triathlons six or so years ago. Until the end of last year I was riding a road-bike if the weather was dry and a mountain bike (on local trails) if it was wet… and then I bought a Cannondale CAADX CX bike to save my Bianchi from the winter weather and everything got a bit blurred with the CX bike getting used for most rides that covered both tarmac and trails in single rides. It’s probably also worth mentioning that, being 50, I get a veteran’s place… not sure if that’s a good thing or not. I’m concerned that my running will let me down and on an MTB spin at the weekend my legs felt tired and I didn’t seem to be able to get the power into them, but I’ve put in some decent rides this year given other commitments, so aside from the real race whippets I should be reasonably well sorted. To be fair, I lost three weeks of April to an unusual bout of asthma (probably due to a mix of certain early pollens and some industrial DIY involving lots of sawdust), but I’m feeling pretty good in myself now, so let’s see how Wednesday pans out. In terms of general preparation, I’m going to use the Kinesis Pro3 – it’s older than the CAADX, but it’s lighter and for this first outing I think that anything that works to my advantage has to be considered. 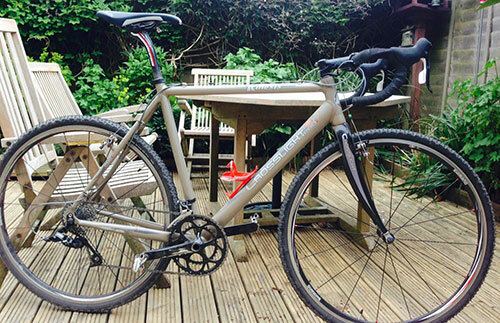 So can a recreational cyclist become a competitive cyclocrosser… watch this space. Note there is more information about the Western League at the British Cycling site.